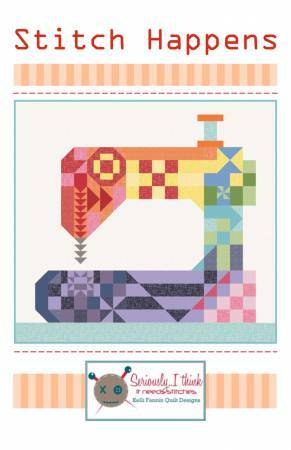 Stitch Happens is a scrap friendly 37in x 40in quilt, great for hanging in your sewing space. It is simple and fun to piece and could also be easily adjusted to a lap quilt with the addition of some colorful borders. Finished Quilt Size 37" x40"